In addition to the crafts, I'd like to share also some cake decorating ideas for kids birthday cakes. Starting with this butterfly I made in 2005. 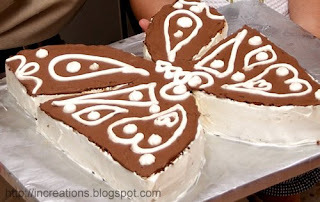 It's a sponge cake decorated with vanilla and chocolate creams.